Wake up and dream: Human species is by nature loving, cooperative and peaceful. Human species is by nature loving, cooperative and peaceful. James DeMeo PhD. Writes about the roots of many of the challenges we face in our collective psyche. 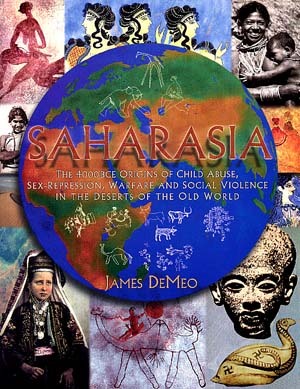 Learn more in this website about his book called "Saharasia"